A bike shop has a large amount of high prices items and can also pose many risks, ensure you get the right level of insurance to protect you and your business! Cover your bike shop with specialist insurance to protect your assets. Wherever your shop is located, it's essential to insure yourself against any potential threats that may hit the business and cause financial loss. There are some extremely high price items within bike shops and therefore should there be extensive damage it could be exceedingly costly for the owner. With insurance you are able to protect yourself and your shop against potentially large claims. We have a great panel of insurers all after your business, who will try to accommodate all your needs. By asking for a quote you will not only get great quotations from a range of insurers and brokers, but also benefit from their vast knowledge of insuring bike shops. Fill in our simple form to get the best deals, if you have any problems, don't hesitate to contact us and we will get on the case immediately. When you are looking to insure your bike shop you will be presented with a multitude of choices. Whilst most standard policies will cover you for your and your employees' protection and for your equipment and stock. It is also very much worth considering insurance against malicious fires, broken glass and flooding amongst other risks. 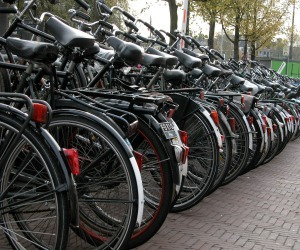 Here are some of the policies which are fairly essential for those with bike shops. Bike Shop Contents Insurance - this protects the fittings and contents within your shop, meaning should there be an incident in which the inside of your shop was damaged, through fire, water or anything else, you would have the cover to protect yourself. Make sure you do check your individual policy to find out what specific elements your premises will be protected against. Public Liability Insurance - as a shop, you will have customers on your premises. It's important to have public liability insurance to protect yourself, as the owner, against any injury that a member of the public may face and subsequently the lawsuit which may follow! Product Liability Insurance - for a bike shop this is an insurance that should not be overlooked. It protects the owner from claims by someone who has purchased a product from you. It cover you against reported damage or injury from any third parties. A few minutes thought before committing yourself to a bike shop insurance policy can significantly reduce your stress levels at a later date should an incident occur, and you be left unsure as to whether you are fully insured or not.